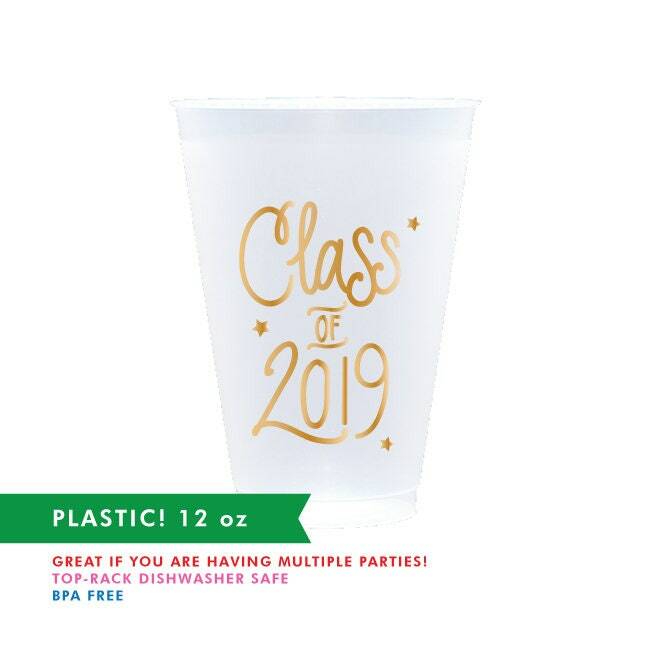 "Class of 2019" Reusable Cups for your Graduation Parties! 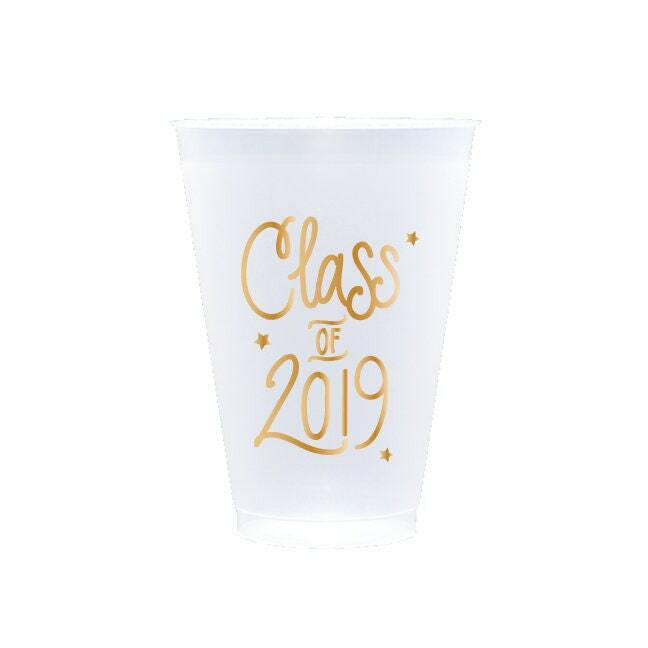 Hand lettered "Class of 2019" printed in metallic gold ink! These are especially perfect if you are having multiple parties! Printed in Metallic Gold - perfect match for any napkin printed with Gold Foil! Our Gold Ink Cups are In-Stock and ready to ship!